Quizlet is a cloud-based study/learning tool. 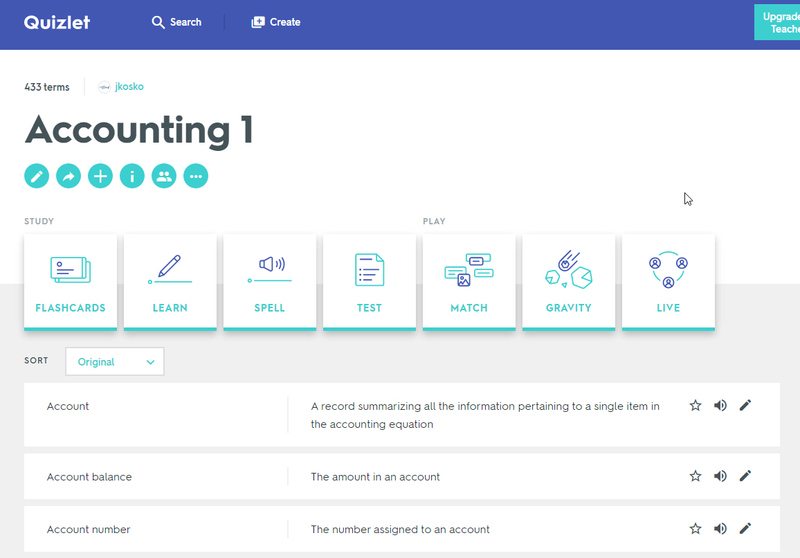 Quizlet is a free website providing learning tools for students, including flashcards, study and game modes. It was created by high school sophomore Andrew Sutherland in 2005 and now contains over 40 million study sets. All of the material is user-generated. 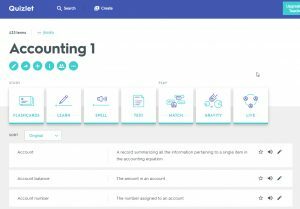 You can get a basic teacher account for free via quizlet.com. A Premium account is $24.99 a year which would be paid for by you personally or your department. JCCC does not supply premium accounts at this time.